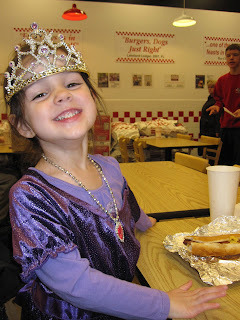 Last night we took a princess out to Five Guys for dinner. The purple shirt, dance tights, and the black fur coat for outside were a bit of a negotiation, but she looked fab-u-lous. How would you find such a perfect princess dress that is just the right shade of purple to resemble Sofia the First, you ask? Well, a mid-day hunt through three stores with her Nana proved to find that perfect dress that brought forth a gasp that only the perfect dress would bring. It was a size 10-12 (She wears a 4T). Really, princess dresses have to be to the floor you know. 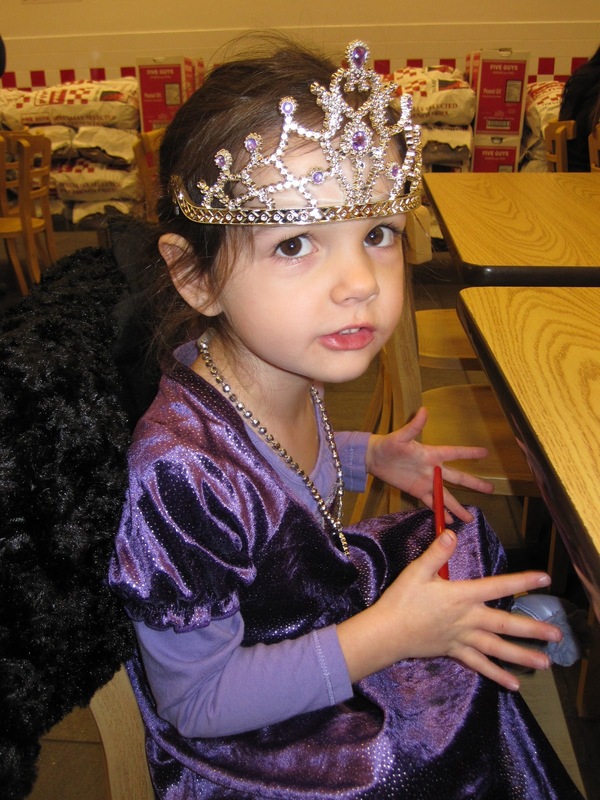 (She actually picked out a 14-16 for the length, but her Nana in her all-knowing wisdom swapped it secretly when she wasn't looking.) If you ask Jillian why she has every princess doll except Jasmine, she will tell you. "Because I only like princesses that wear real princess dresses. Ones that go to the floor." 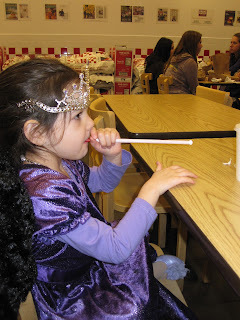 Princesses shoot their straw wrappers at their brothers. 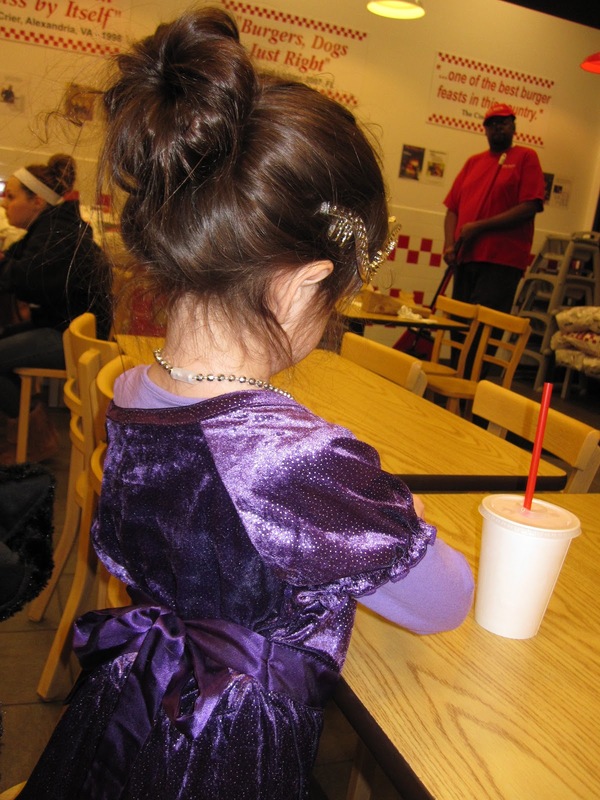 She wasn't too keen on me taking her picture at Five Guys. She "didn't want people to laugh at her." No one was laughing, though she did get quite a few comments...and she was quite proud. Hope your Friday night was filled with smiles!